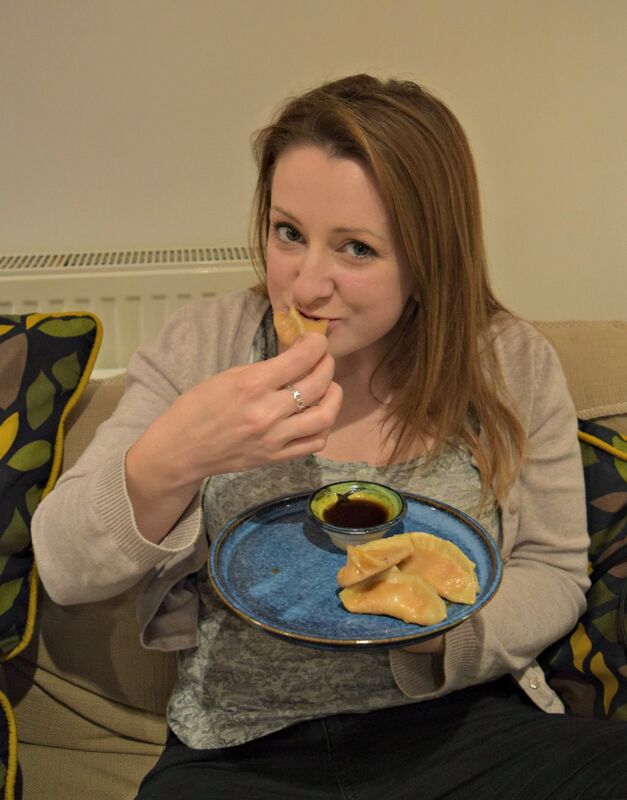 'No thanks, I'm a vegan' | Living vegan in the UK. As I’m already out of the country (currently in Cambodia!) I thought I’d quickly post about the foods that I’ve taken with me on my trip to South-East Asia! 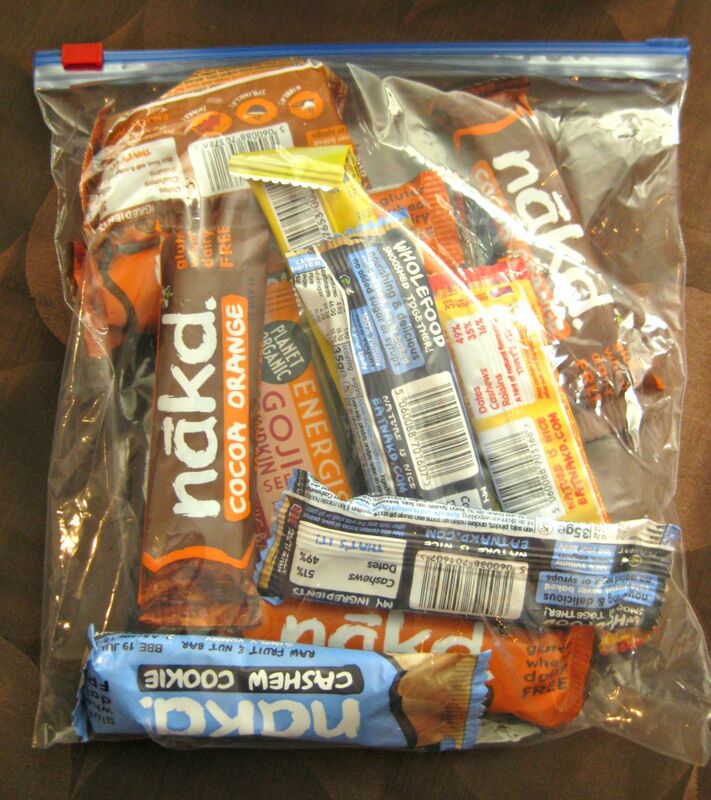 Lots and lots and lots of nakd bars!! Basically I decided that I would immerse myself in the local food as much as possible and just take a few snacks to tide me over and so far its done me well. I also brought a big jar of peanut butter ‘for the protein’! Ha! Nothing to do with the peanutty deliciousness! I also took some of these beauties to the airport. 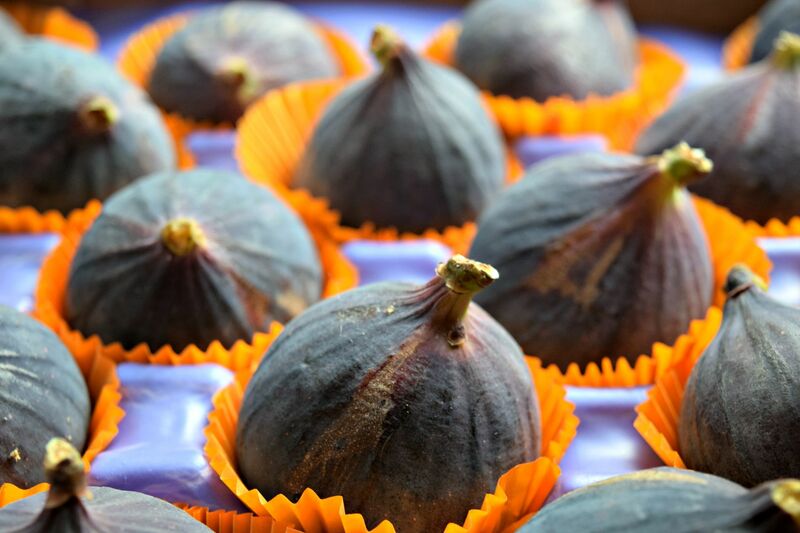 They were amazingly delicious and I was so grateful to have some fresh fruit for my journey. I wish Vegan MoFo had been last month so I could make the most of today’s theme! I’ve visited this idea before on my blog. Cooking exclusively from things you already have in the house. I’ll be honest, in my house it’s not really an issue, I store a LOT of food in my house across the cupboards, freezer and fridge! This meal came about today when I had 15 minutes to cook and eat before I left the house! Yum! Doesn’t look too shabby does it? And it has 3 portions of vegetables and 21g of protein. Frozen vegetables to the rescue! 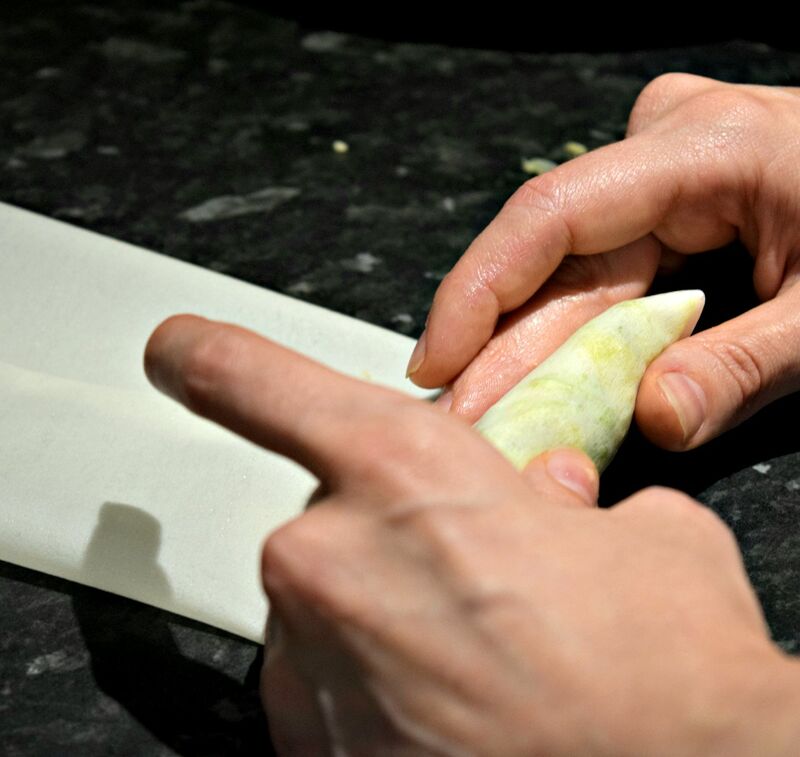 I’ve recently started expanding my frozen vegetable horizons (I think that is the most ridiculous thing I have ever said!). 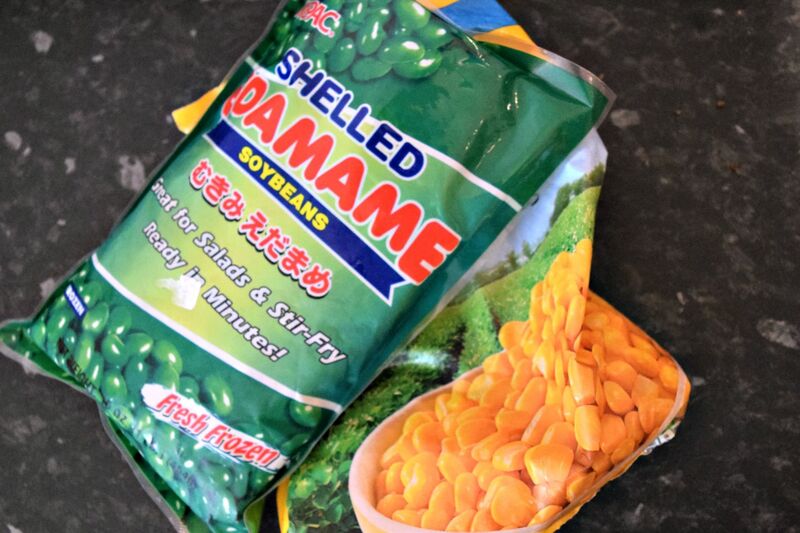 We now regularly have spinach, corn, peas, edamame and green beans in our freezer. 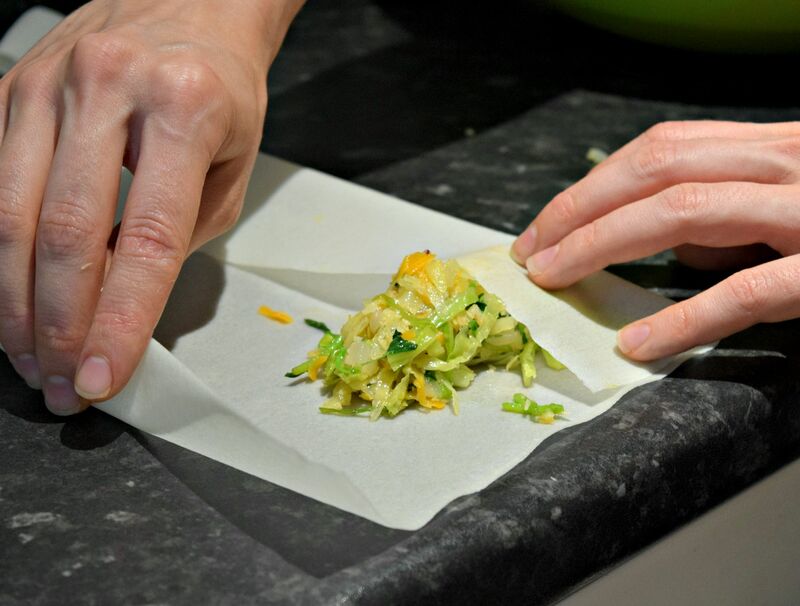 It makes quick meals a LOT easier (except for when I have dumplings in the freezer). 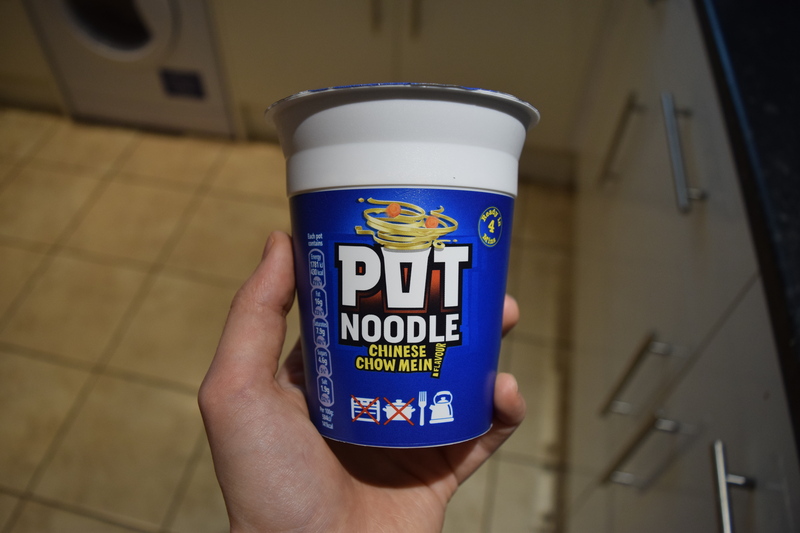 This isn’t even going to be a real recipe, as its based on a humble pot noodle. I don’t eat much ready-made stuff but it can be soo useful when you’re short on time. I literally just simmered the vegetables for 3-4 minutes, rehydrated the noodles and mixed them together. Topped with sriracha and chopped coriander, this was quick, easy and (although not the best thing I’ve ever eaten) pretty tasty. 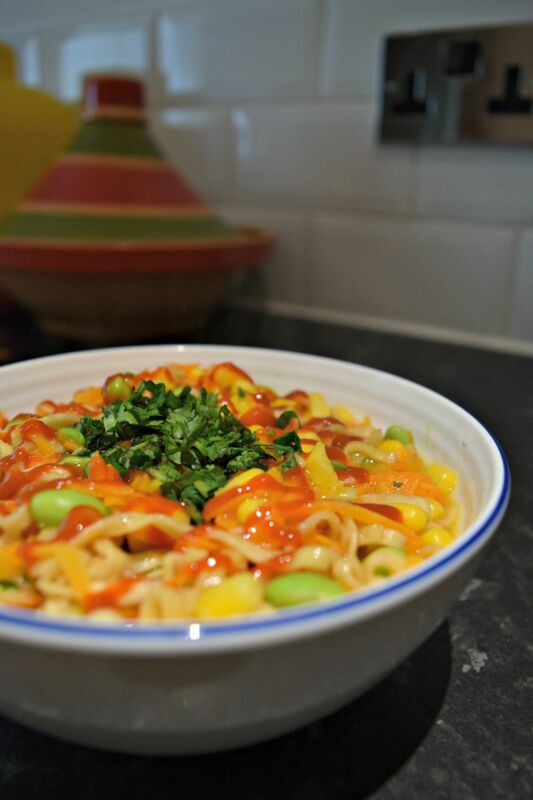 Maybe one day I’ll make my own take on a pot noodle, I’m sure it could be done and probably be a bit tastier. 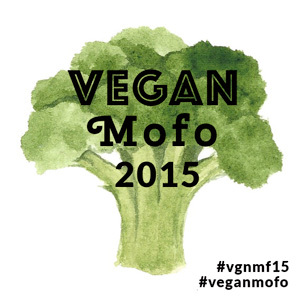 Vegan MoFo – Cuisine Cookings! Today’s theme is to talk about your favourite cuisine. I’m really looking forward to reading about everyone’s favourite foods and hopefully get to try some new cuisines that I hadn’t thought of trying before. 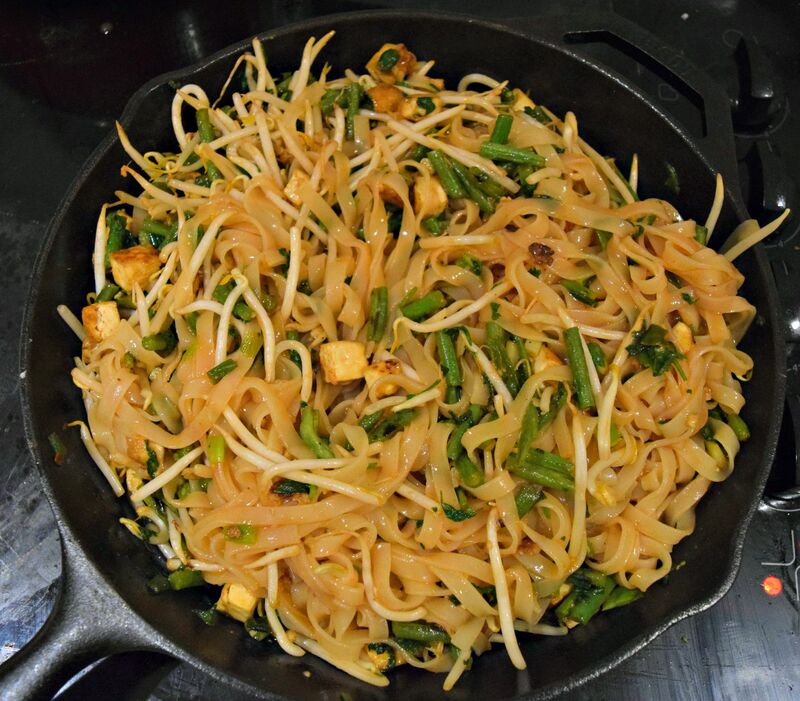 As for me I guess my favourite food is that from South East Asia, which is pretty handy as I’m currently in Cambodia :) Yeah sorry, I guess I’m cheating a bit with a pre-composed blog post, but I’ve missed so many days of vegan MoFo that I wanted to try and manage a few more posts before the end. 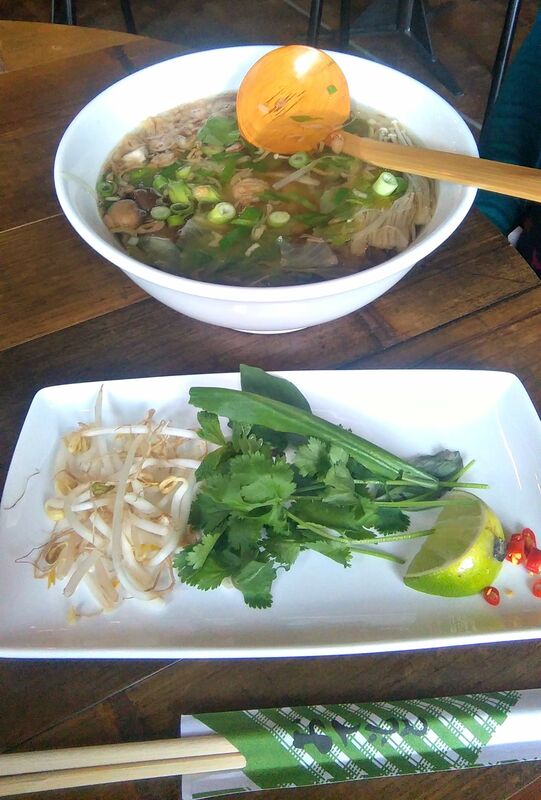 A new Pho restaurant (Vietnamese!) has opened in Manchester, so of course Gary and I had to go check it out as soon as physically possible. 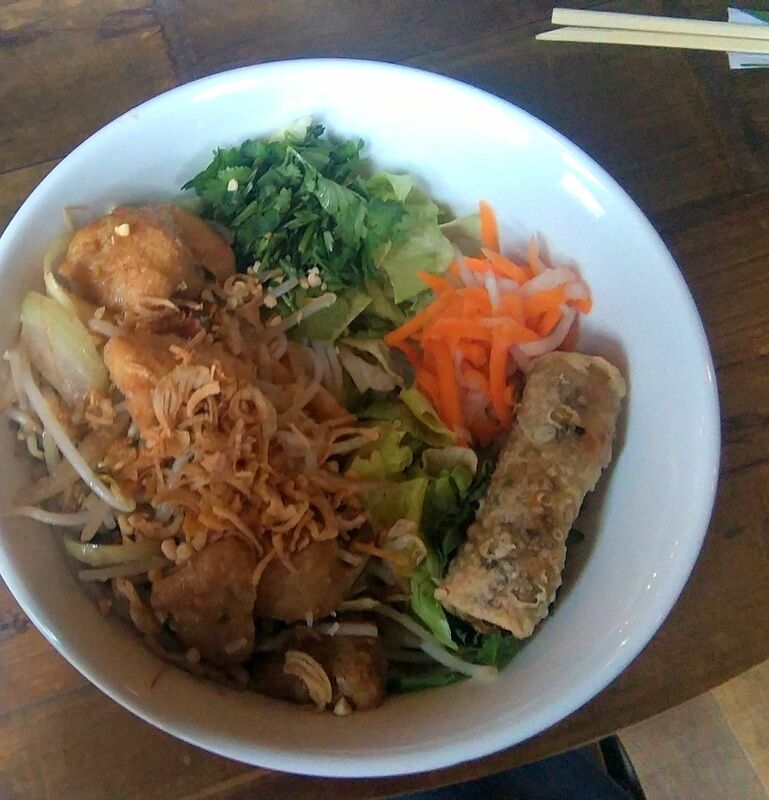 The bun noodles came with nuoc cham (fish sauce dressing) on the side that they happily replaced with a ginger soy sauce for me to make it vegan. Very delicious. 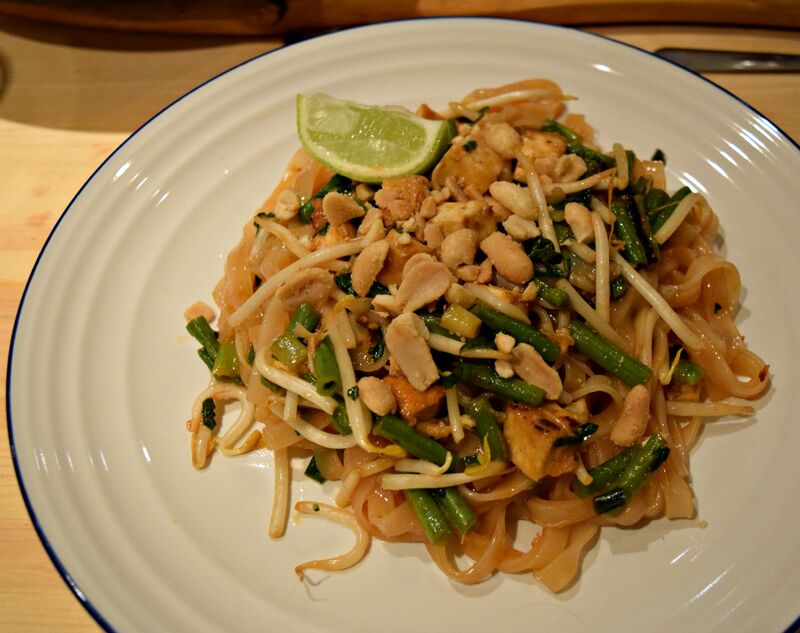 I made the pad thai from Isa Does It when my mum came for dinner. 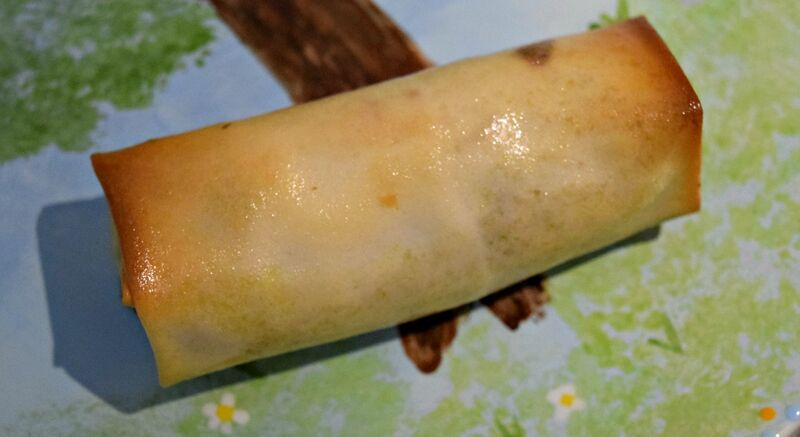 I also made the Watercress, Coconut, Lumpia Spring Rolls from Vegan Eats World when my girls came over for lunch the other week. They were really really amazing! 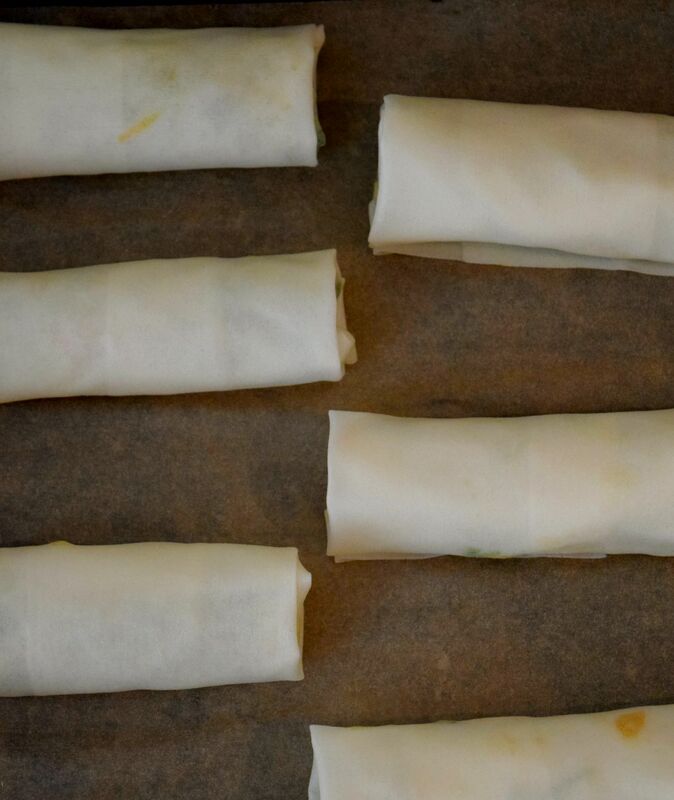 You roll them up like little buritos and bake them in the oven until they’re gorgeous and crispy. 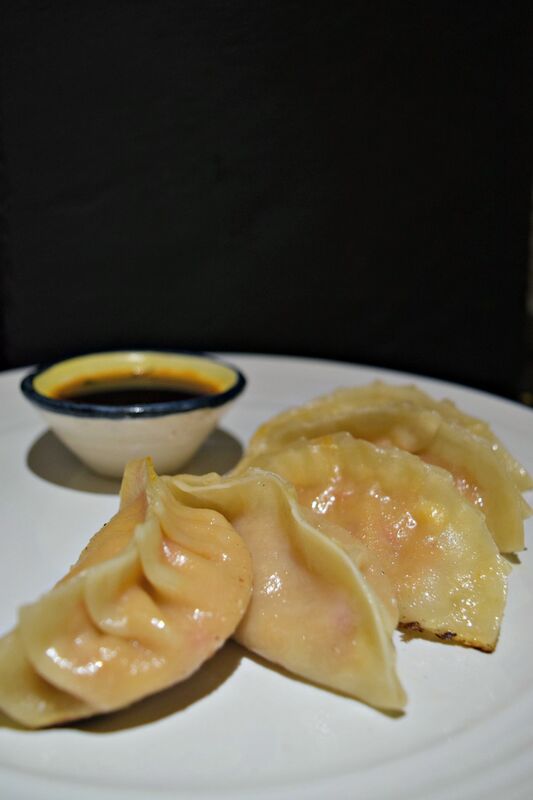 The dipping sauce that goes with them is divine but I added 1/4 cup water to dilute it a little so it wasn’t too salty. I really have to buy this cookbook that Joey talked about on Day 12 for the theme of favourite cookbook. As you can tell I love asian cuisine so a cookbook dedicated to these flavours sounds amazing to me! 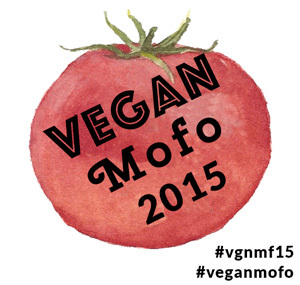 Hope you’re still enjoying vegan MoFo!